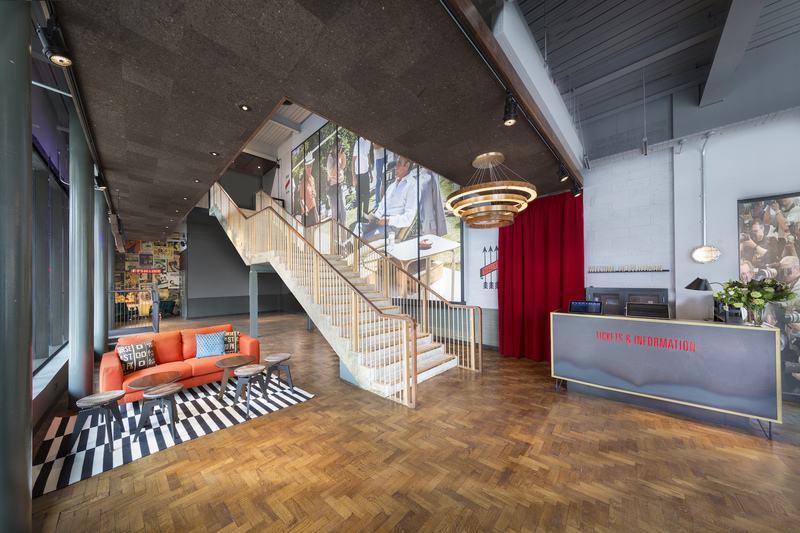 SIMPSON have worked with Everyman Cinema since 2012 and have continued a strong working relationship. 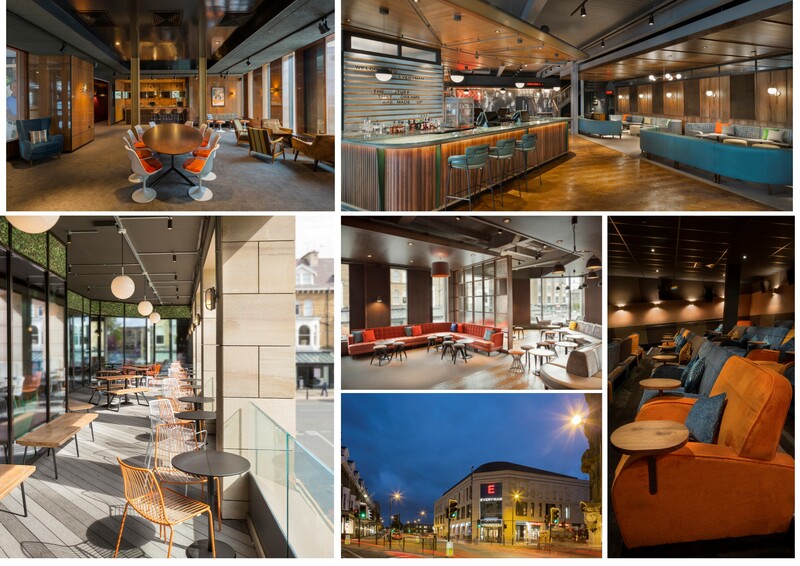 SIMPSON carried out a 21 week full internal fit out to create a cinema with three auditoriums, one private viewing screen, restaurant, bars and seating areas. 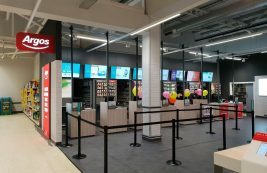 SIMPSON completed the fit out of this new cinema for Everyman in the Mailbox Centre, Birmingham. The cinema houses 3 screens to show the latest in movie releases, enhanced by 4k digital technology to offer the latest in 3D projection. The venue also offers a new burger bar and seating facilities, a candy bar and a fully licensed bar. 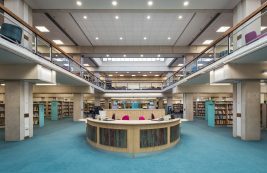 The fit out works include new raised timbers, new bespoke steelwork shopfront and internal screens, suspended plasterboard ceilings and soffits, with all bespoke joinery manufactured by our Joiners’ Shop based in York. 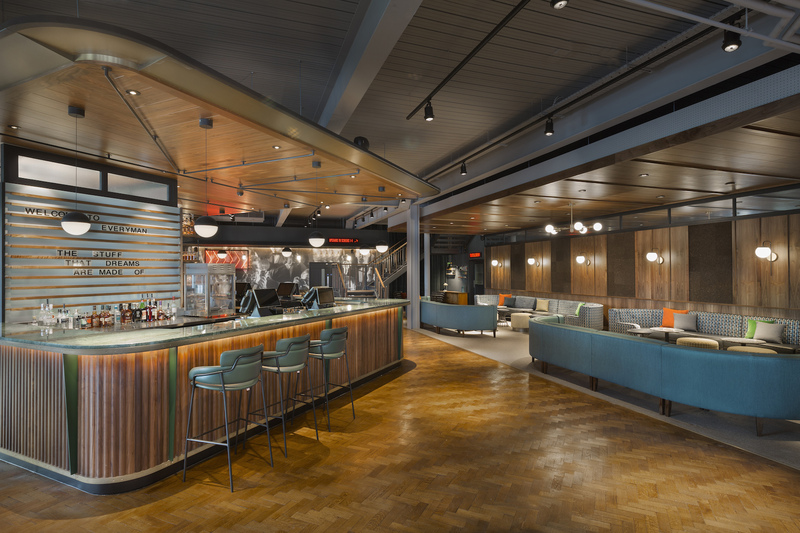 SIMPSON completed the fit out for Everyman in Canary Wharf creating a new auditoria bar/ eating facilities and back of house in the new Crossrail terminal at Canary Wharf. The logistics to facilitate the operational running of the project were challenging with deliveries having to be booked into a busy loading bay (operated by Canary Wharf contractors) and then transported to our work area via lifts and services corridors. SIMPSON completed Harrogate’s first new cinema in 50 years. 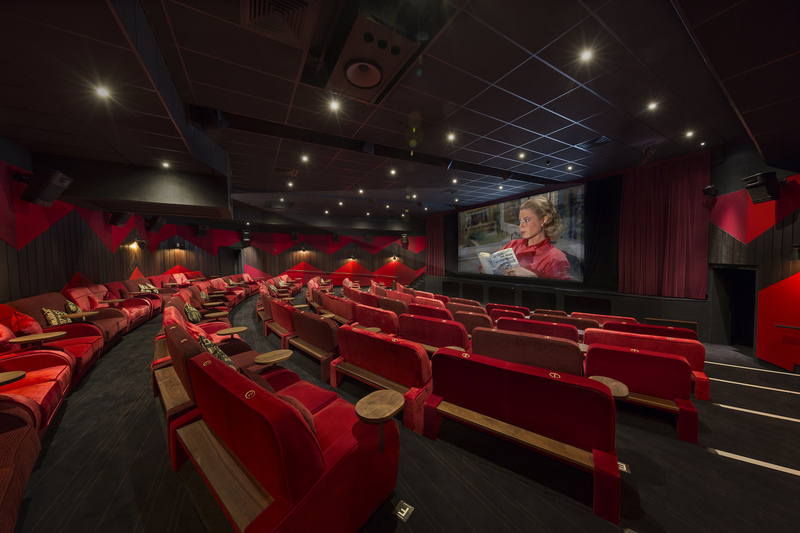 The new cinema has combined bespoke decor, swapping traditional cinema seating with comfy sofas, boasting 400 seats, a restaurant, bar and the latest Dolby Atmos audio technology. 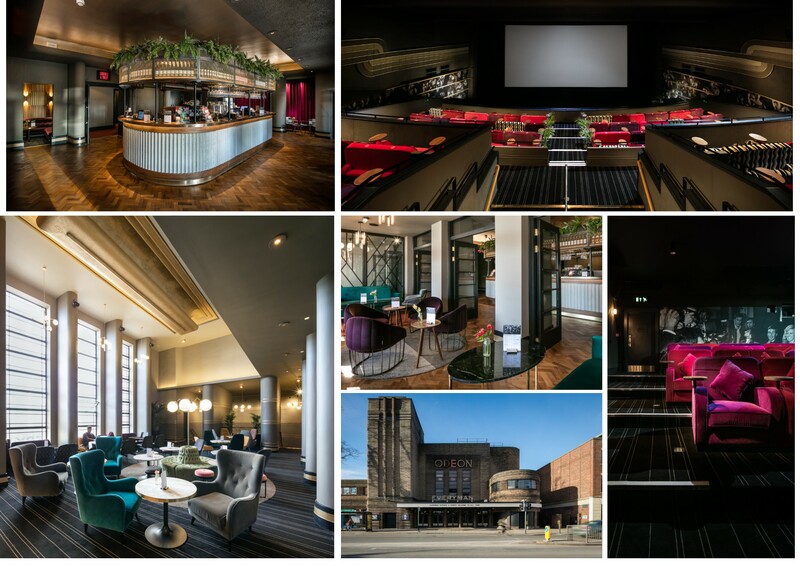 SIMPSON completed the fit out and refurbishment of the Grade II listed cinema building including 5 No Auditoria fit outs, new restaurant and bar.